We're sure you're on a mission to soak up as much sun before the rainy season begins, booking road trips and beach outings left and right! But one thing we often neglect in the summer thrill is the state of our precious locks. The condition of your hair makes a big impression on people, so you should make hair care a priority this summer, too. You want the beach babes you're bound to meet to be wowed by your silky-maned sizzle--not shrink back at the sight of your unruly strands. Thankfully, your favorite hair care brands have factored in this season's sweltering heat, and they've come out with products made especially for sun-exposed, damaged, dry, and colored hair. Check out the refreshing shampoos, moisturizing conditioners, nourishing serums, intensive hair masks, and specialized salon treatments that are now available to address your hair concerns. Your soon-to-be radiant, healthy mane will thank you for it! Launch the gallery to see the products that will restore and protect your locks for the rest of the summer! Avon is available through Avon Ladies nationwide. Log on to www.avon.com.ph to find out how to contact an Avon Representative. Cream Silk is available at major department stores nationwide. 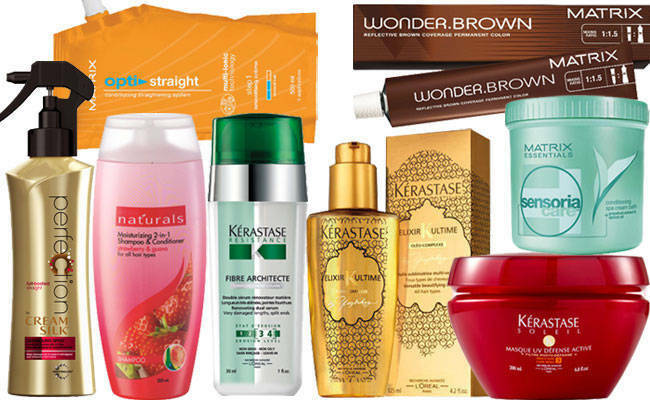 Kerastase products are available at Kerastase salons. For more information, visit the official Kerastase website or call (02)672-7200. Matrix Philippines is located at the L'Oreal Academie, Mezzanine Level, Robinsons Equitable Tower, ADB Avenue corner Poveda Street, Ortigas Center, Pasig City. For inquiries, call (632)273-2732.